Another Tweet that needed to be reThunk. Thanks Al for this forward on another bad marketing tweet! 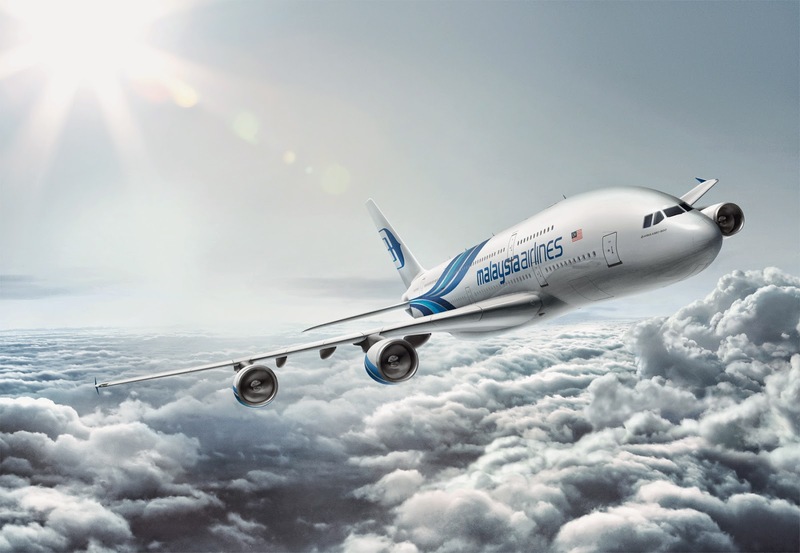 This one courtesy of Malaysia Airlines, the brand that lost 2 planes (and hundred of passengers) this year. (In March, Flight 370 vanished between Kuala Lupur and Beijing; In July, Flight 17 was shot down over the Ukraine). The response hasn't been very good to the tweet, which has been removed. My rule of thumb for companies that want to be effective on Twitter is to tweet consistently 2-4 times a day. That's over 1,000 tweets a year. Malaysia Airlines now knows that batting 999/1000 isn't good enough. I just received the transcript from my address in Sao Paulo August, 2014. The event: Brasil: multiplas identidades. I thought I would share it with you. Obrigado to my good Brazilian friends at ESPM for the invitation. First of all, it is a real pleasure to be here. It’s great to be back in Brazil! I’m a big fan of your country. I actually love it. For each of the last twelve years, I’ve brought a group of undergraduate and MBA students down to Brazil and I’ve also taught some Brazilians ESPM university who come up to Canada on an exchange program. It’s been wonderful sharing my love for your country with my McGill students… and having the Brazilians experience my country that I love - Canada. It is always interesting to hear what my students think about Brazil before coming down. I love asking my students: “Why do you want to go to Brazil?" You got it: “The ‘praia’... the beaches.” A lot of this imagery relates to endless sandy beaches and palm trees in the hot tropical sun. Any mention of Brazil during a Canadian winter’s day and there is a feeling the sand beneath their toes and the warm sun glowing on their skin. Is it that predictable? Brazil has this image of “mulheres lindas.. mulheres bonitas…. beautiful girls”. There are visions of bronzed toned beach clad-women hanging out on the beach. And if the Brazilian girls aren’t tanning on beach, they are wearing bright Samba Carnival outfits dancing in the streets. And like you said, futbol. Makes sense right? After all, Brazil is the mecca of futbol. Well, some folks image the two being combined. Then I ask the guys and girls what else is cool and interesting about Brazil. 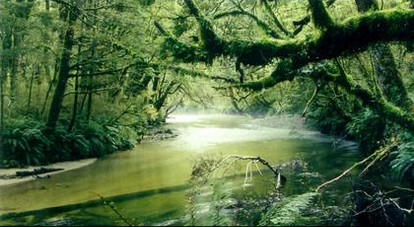 Their next thoughts usually nods to the Amazon, rich natural ecosystems - and bountiful biodiversity. 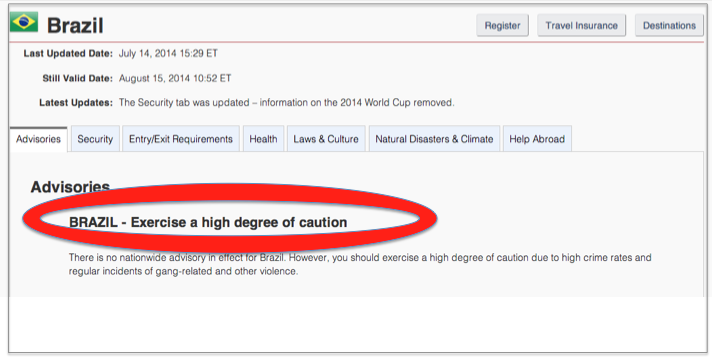 “BRAZIL- Exercise a high degree of caution”. This is the first page. “You should exercise a high degree of caution due the high crime rates and regular incidences of gang related and other violence“. Keep reading with me. My government discusses civil unrest, political and labor strikes, and common demonstrations. It warns about damaged roads and terrible driving, and poor infrastructure. Amigos, that is not conventional hospitality. These are genuinely heart-felt and friendly invites. This warmth is a unique and key characteristic of the Brazilian people. I’ve seen it- I’ve experienced it – I’ve felt it - not just from the ESPM professors, but from the extremes of the country. Here’s what I mean. Earlier this week, I met with one of the titans of Brazilian business. After having a great conversation with him about his brand he said, “Hey, it was great meeting you Bob. You know, it was so much fun talking that I’m running a bit late. Let me drop you off at your hotel.” I expected to be driven in a car but he was a lot more literal. I ended up being dropped off via helicopter to the roof of my hotel. This from someone I just met. To people from anywhere else, this would be a bit bizarre. But to people who know Brazil, they find that this is the Brazilan way. In this case, this is hospitality from the extreme Brazilian wealthy. On the other extreme, I’ll never forget the very first time I was in Brazil. I was in Rio and I frequently spoke to one of the maids who just started working at the hotel. One day she said, “My parents have never met a ‘gringo’. I’d like to invite you to come over to our house for dinner.” I thought : “This is going to be a great experience”. I hopped on a bus with her for over two hours, going from Copacabana to I don’t even know where I was. But when we arrived, I entered a house that had a dirt floor. It didn’t have running water. I knew if I’d eat there I’d be probably get sick, which I did. But their hospitality was unbelievable. I was an extra mouth to feed that night- which no doubt came at a great sacrifice for the family. But in Brazil this happens. It has never happened to me in any the other countries that I visited… There’s a warmth and an energy in the blood people that defines the Brazilian. It’s wonderful. I have to also say that as a population, you’re not perfect. You guys are extremely disorganized. I took my wife…We had heard about the opening up this temple, King Solomon’s Temple. It was in the second day of the opening. Your president Dilma had just been there the day before, and so we thought: “It’s probably a good time to go. Let’s go check it out!” So we went there and there were tens of thousands congregating on the streets surrounding the temple. You could not tell where the lines began or where it ended. You couldn’t even get a sense of which direction anything flowing. Then out of the blue some woman appeared on the street said “follow me”. Then everybody followed her but there was no reason to really follow her. She didn’t appear to have any official designation and she certainly didn’t appear to be in a position of authority. After about 4 hours of waiting in line, we eventually arrived at the Temple entrance, and I looked at my wife. We started laughing. By the way, she’s also a big fan of your country and she summed up the Temple experience this way: “This is so Brazil. Stuff eventually works out and gets done … but it gets done in some crazy way that wouldn’t happen anywhere else.” So that’s a little bit about the pulse of the people – who I think are really incredible here. I mentioned that my perspective on the problems of Brazil is a little bit different. The problems that my government outlined earlier – yeah, they’re there and they do need to be fixed. But these problems also exist in other countries. 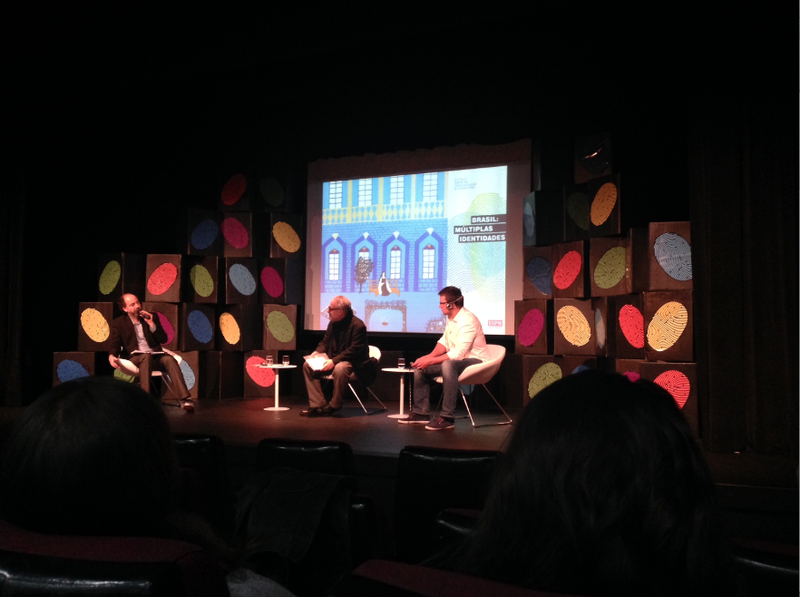 The trouble is that they take up too mind mindshare of brand Brazil… and this holds back the promise of the country. I'm not suggesting this is a be-all-end all solution for the countries problems, but I feel this is a perspective that can help. Here’s what I mean. One thing that surprised me was when I came down for at Copa do Mundo time. I asked some Brazilians: “Are you excited about the World Cup?” Most of the people I asked- from Cariocas to Paulistas to Natalese – were down on it. From cab drivers to the bell-boys in the hotel, from the professors to CEOs, there was a damper on the World Cup and the Olympics. These are the premiere world events that attract hundreds of millions of excited viewers. But a lot of Brazilians are saying: “You know what part of me wants Brazil to win, part of me wants Brazil to loose.” I don’t really get that. But they explain if Brazil loses in the World Cup, something might change in government.” So, rather than rallying behind the country and pumping up some of the best things in the country- the heart of people and the promise… the country looked internally to its political problems. The narrative became negative. So instead of telling its own positive story to the world, the country focuses inward on its problems. The result? Brand Brazil has its narrative told by other people- people who neither have a vested interest in seeing Brazil succeed nor understand the promise of the country. 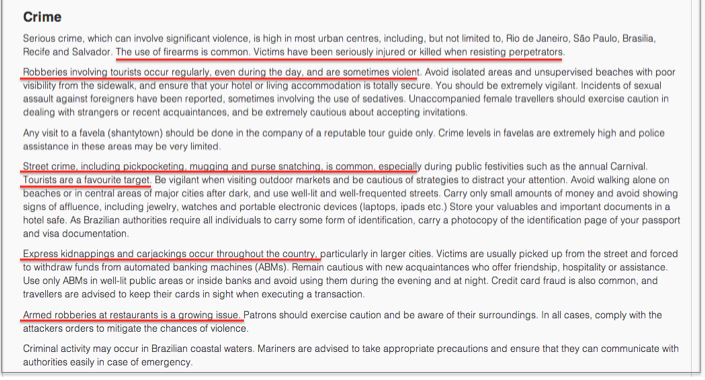 In turn, the story of Brazil looks less appealing to investor and tourists. 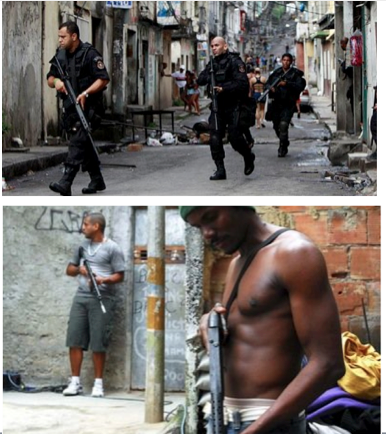 News on Brazil seems to be disproportionately anchored in the nation’s problems. But the lack of Brazilian narrative is not just this year. I remember being here in Sao Paulo far in 2006. There were some problems with between police and some gangs. And that was the only major news story I saw coming out of Brazil pretty much the entire year. So my point is this: Brazil needs to reclaim its own narrative around its people, its energy, and its promise. It needs to tell the world about its world-class institutions like ESPM, its progressive consumer brands like Chilli Beans, Natura, Antarctica, and all the Darlings out there… These are stories that need to be told about a wonderful country… full of wonderful people…and tremendous promise. So after coming down to Brazil with more than 250 students over the last decade or so – they get to experience your country. They’ve met Brazilians. They’ve fallen in love with the Brazilian people. They’ve visit your companies. They believe in Brazil’s promise. They see some of Brazil’s problems, but storyline Brazil gets overwhelmed by the positive. Every one of them responded, “in a heartbeat”. Best worst tweet - or is it the worst best tweet? Thanks Stefan for submitting this one. At your request, a mackalski on marketing classic- an oldie tweet from 2011. Yep, it's a real tweet. See some other crazy brand-related tweet here. As someone who grew up in Toronto and is now at university in Montreal, I often get asked which city I like better. I’m a Torontonian through and through, with no doubt as to which side of the Montreal/Toronto rivalry I fall on. 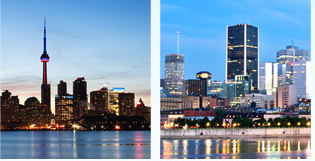 But now as a student of branding, I started thinking which city has a stronger brand- Montreal or Toronto? To do a quick comparison on the brand equity of Toronto versus Montreal, I did a couple Google searches. The idea here is that the more returns that come back, the higher the awareness of each city. Google returns about 450,000,000 results from a search on “Toronto” vs. 33,000,0000 results for “Montreal.” That’s a route for Toronto awareness. So what might be driving Toronto’s big win? Well, here are a few thoughts. First, according to the organizations that track this kind of stuff, Toronto has more than double the number of head offices that Montreal has (175 vs 81). In other words, the greater number of head offices provides Toronto with more high paying jobs, more business visits to the city, driving more hotel visits, more theaters, more restaurants etc. Second, Toronto has 3 major professional sports teams (the Toronto Maple Leafs, the Toronto Jays, and the Toronto Rapters) compared to Montreal’s lonely Canadiens. Translation: Toronto still gets its scores reported more often in more seasons, on more media than Montreal. Finally, Toronto wins on cityscape. The world famous CN tower (for the longest time the tallest free standing structure in the world) simply trumps the Olympic Stadium located away from the downtown core. I remember my dad telling me that forty years ago, around the time that the ’67 Olympics were held, Montreal was Canada’s leading city. I’ve just argued that this seems to no longer be the case. Perhaps I’m biased because of where I’m from, so I’m curious: to all the born and bred Montrealers out there, how would you argue in Montreal’s defense? During the 3rd quarter of Superbowl XLVII when a power outage at the Superdome caused some lights to go out for 34 minutes, Oreo tweeted “Power Out? No problem. 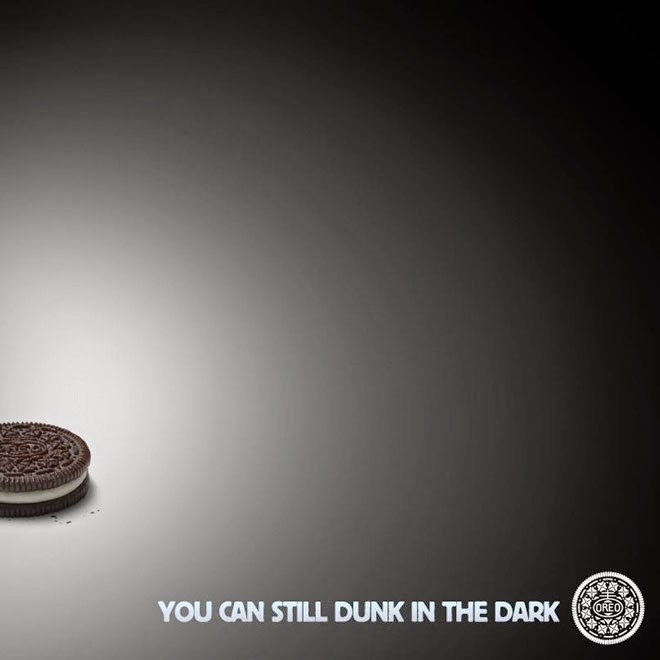 You can still dunk in the dark.” The company attached their image to its tweet, which was retweeted more than 10,000 times within the ensuring Superbowl hour. Not bad for a one liner from a cookie brand. Oreo got it right - a terrific brand voice that capitalized on a "light" cultural moment. Not all brands get social media and its messaging. Here are 4 brands that simply blew it. 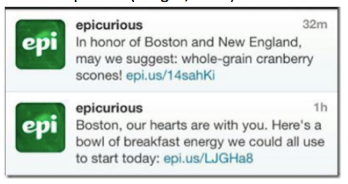 At best these are cautionary tales of poorly judged communications - or at worst, these are tactless, tasteless and harmful communications that show a darkness to some brands. 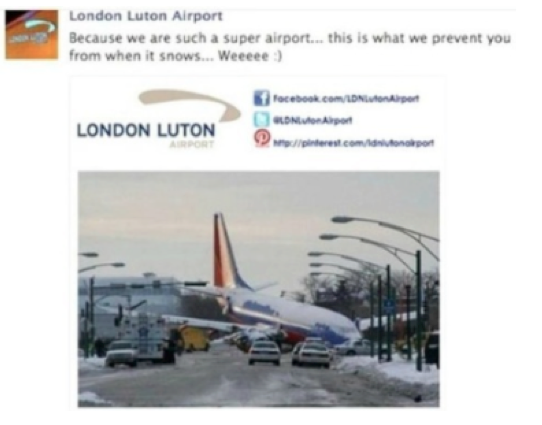 On March 13th, 2013 at 9:15 GMT, London’s Luton Airport posted a picture on Facebook, showing an image of the 2005 plane crash in Chicago, which left one child dead. The picture displayed the phrase: “Because we are such a super airport…. this is what we prevent you from when it snows… Weeeee :)”. Given the tragedy of the youngster, needless to say, many found this brand to be making light of a terrible situation. By 10:30 GMT the post was removed and a public apology was issued. American Apparel and its CEO are no strangers to controversy. Their explicit communications frequently are designed to shock and create publicity. One call they made in October 2013 seriously backfired. The American Apparel marketing department put together an email and distributed to their customer database. 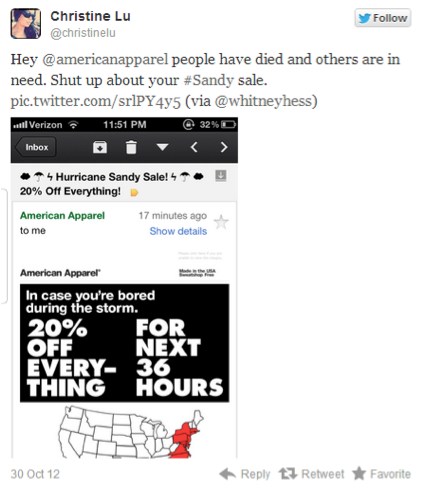 It read “In case you’re bored during the storm 20% OFF EVERYTHING FOR NEXT 36 HOURS”. A map of the United States was included in the email and highlighted the Northeast area, making it clear that only the states being hit by hurricane Sandy, could reap the benefits of the sale. The company experienced huge consumer backlash, as demonstrated through customer’s tweets and facebook posts that criticized the brand’s actions. 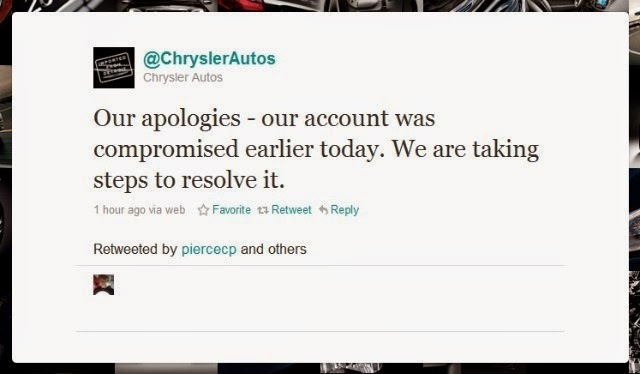 The email required a large amount of damage control for the brand. You'd think designer brands understand the importance of tight messaging to control their brand image. 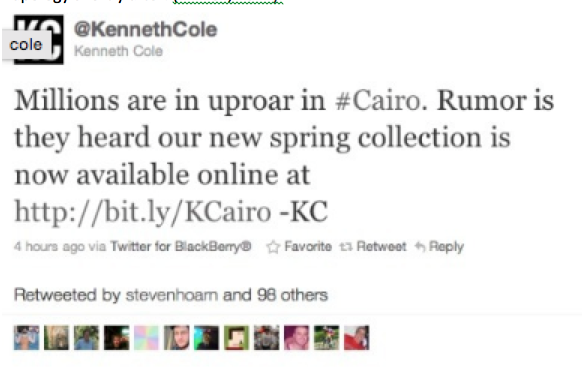 But, in April 2013, during the rioting in Cairo, Egypt, the brand Kenneth Cole tweeted: “Millions are in uproar in #Cairo. Rumor has it they heard our new spring collection is now available online at http://bit.ly/KCairo - KC”. Issuing such a statement when dozens are being injured or even dying is definitely not cool. Surprise surprise - Kenneth Cole issued an apology. Men everywhere: single and ready to mingle? Watch your backs because you’ve got some new competition. Get this: a mohawked orange slice named Wedgehead is one smooth talker with the ladies. 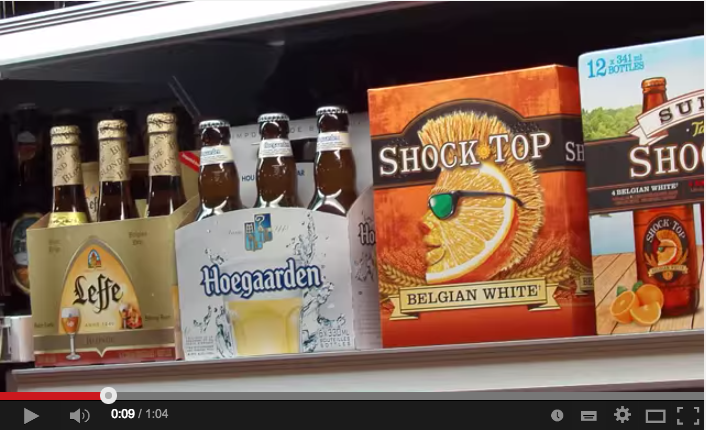 The new Shock Top beer campaign has taken the meaning of “bringing products to life” to a whole new literal level. In a series of videos, unsuspecting booze shoppers and bar-goers find themselves confronted by a talking case of beer or a talking beer tap with Wedgehead- the brand’s chatty mascot. It's a pretty creative and personalized way for the brand to get noticed in a crowded category right at the point of purchase. The it speaks for itself campaign captures people’s interactions with the orange wedge through a series of hidden cameras. The talking logo is a remote controlled animatronics creation, and the voice behind the playful wedge is coming from an actor watching the scene via a hidden camera set up in a nearby van along with the staff from the Anomaly, the brand’s communication agency (Martin). “It’s a different way for our beers to talk to consumers across the country”, said Mike Bascom, brand director for Shock Top at Labatt (Krashinsky). The idea of the campaign was to get away from the typical beer advertisements that focus on the ‘art of the beer’ and that “take themselves too seriously” according to the executive creative director. “They’re heavy into the ingredient mix, and the story. And here we have this beer with an orange wedge and a wheat Mohawk” (Krashinsky). What makes these videos especially funny is the unfiltered way in which Wedgehead chooses to express himself in and the way he caters his words for it to be relevant in every specific situation. In one video, he attempts to smooth-talk a lady when he says “I know you can’t tell because I am wearing these b----ing shades-but I am winking at you right now”. In another, he tells two older women deciding between what beer to choose “You’re not solving world piece, you’re picking a beer ladies. Relax”. The talking wedge takes a few hits at the competition ridiculing their names and other associated brand elements. Customers at the deps and bars looking at other beer brands are interrupted by Wedgehead who attempts to talk them out of spending money on the competition (Krashinsky). Wedgehead ends every video by saying, “You know I’m a good beer. I know I am good beer. Let’s chat about something else”. 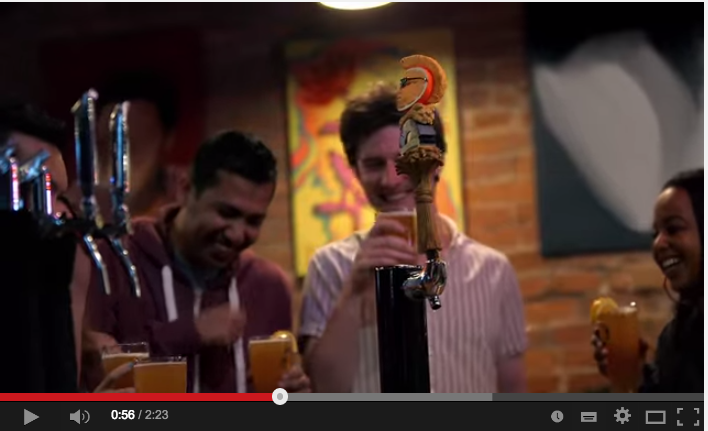 The campaign is meant to reinforce the main beliefs of Shock Top: brewing great beer and living life unfiltered. Check out the clips below to see how it all went down.